Hello, lovelies~ I hope everyone is doing their best throughout the first month of 2014. I had my ups and downs, but most of the time it was a good moment, so I'm very thankful for that. Hopefully, the rain will ease a bit and the sun will come out more. We miss you, Mr. Sun. Anyway, I want to review a lip tint from Innisfree that came out for their Christmas collection last year. I rarely buy these limited edition products, but if they are cute enough (packaging-wise), then I'll buy them. In this case, they fit in the specifications for my purchase. The lip tints came in a box with a picture of Santa Claus and a red color scheme. Yup. That is enough reason for me to buy it. It's made of a thin cardboard material that is quite sturdy and taped on the bottom. I really like the decoration on the box. This collection came with three tint lipstick that has a similar decoration on the case. 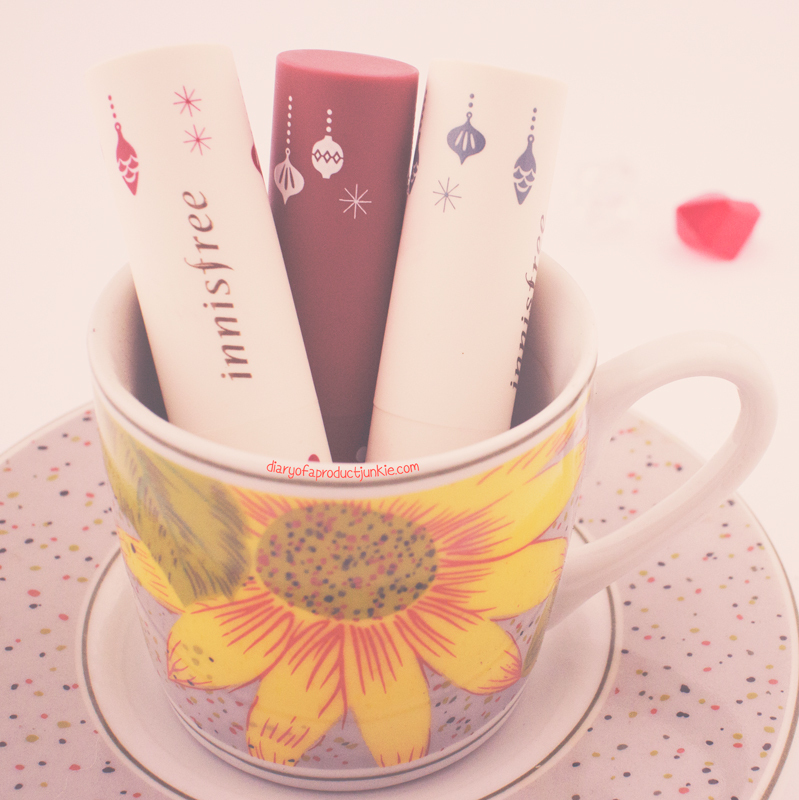 It bears the innisfree logo on the side of the lipstick case, along with some Christmas tidbits. Color-wise, they offer two bold, bright colors with one 'natural-looking' color. 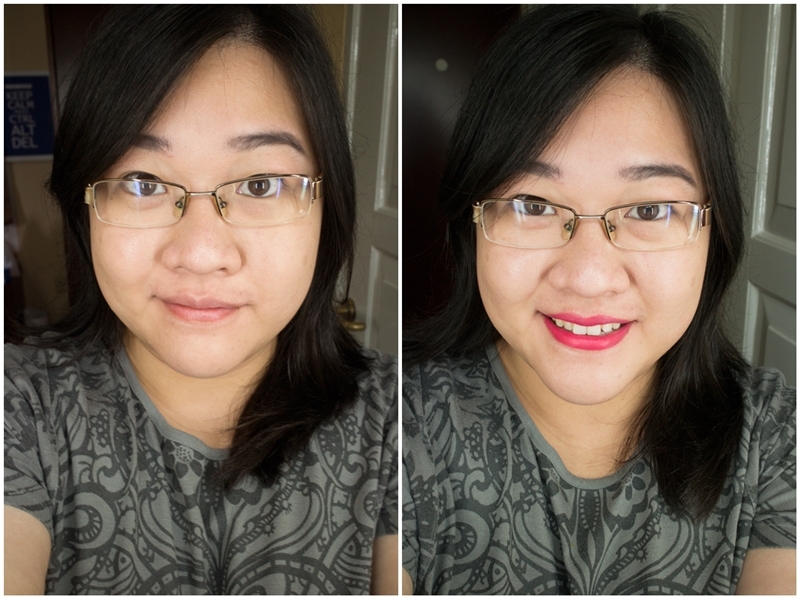 Honestly, I don't see the middle one wearable on my skin tone, but let's just try it out on the lips later. Here is a swatch on the back of my hand during daytime. I find that the tint lipstick glides smoothly and feels creamy within one swipe. The color pay off is great considering the vivid shades I got with one swipe. Seeing how creamy the texture of the lipstick is, I thought this was gonna be moisturizing for my lips, but it's not. 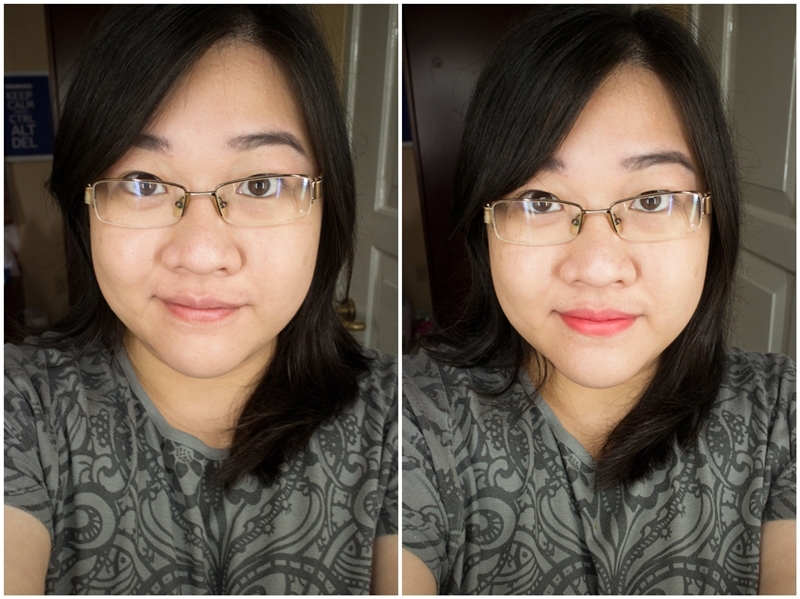 It dries out my lips a few minutes after I've applied them, too bad because I like the matte finish. 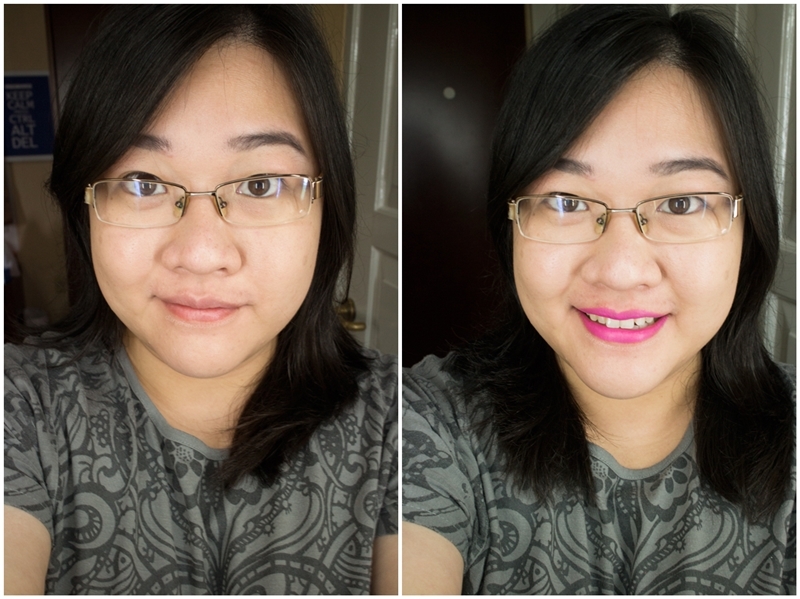 I can't pull off the fuschia pink color on my lips because it has a strong purple/violet undertone to it. It looks toned down in photos, but in real life, it looks brighter. Overall, despite the fact that it dries out my lips, I can handle it with a lip balm or gloss on top. However, I wished they would've had a better selection of colors in this collection. I wouldn't mind a deep berry red or some shade that correlates with the colder season. For a collection that comes out at Christmas, the shades are pretty bright and 'summery'. ceee... lucu banget lempar satu boleh?